What better way to spend an afternoon in the summer than in a French restaurant drinking rosè wine? Especially when the restaurant is Le Perigord, a French classic with the kind of elegant dining that is difficult to find in NYC any more. It is a very comfortable place with old world charm and excellent unobtrusive service. 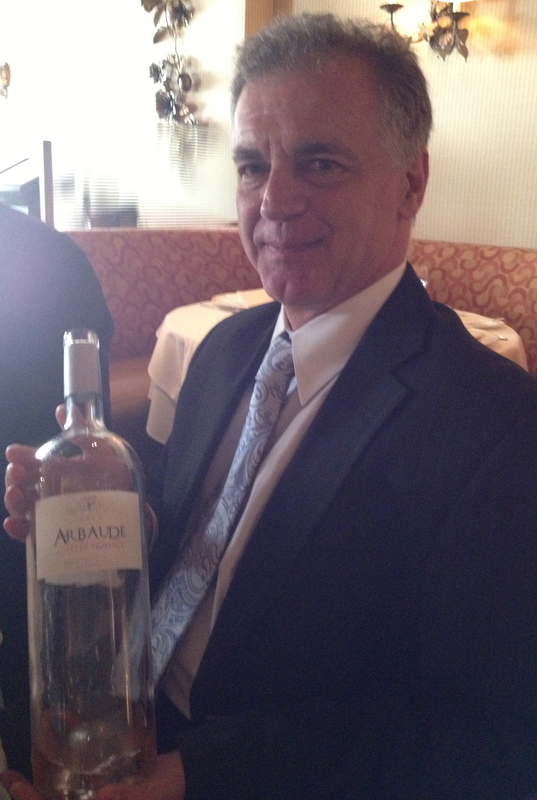 Our host for the lunch was Alain Bonnefoy, wine consultant for the House of Burgundy. Alain was very knowledgeable and informative. George Briquet, the founder and owner of the restaurant came by and told us the restaurant was opened in 1964. He added that after tasting these wines, for the first time he would put rosè wines on his list. Each of the courses was paired with a different rosè. 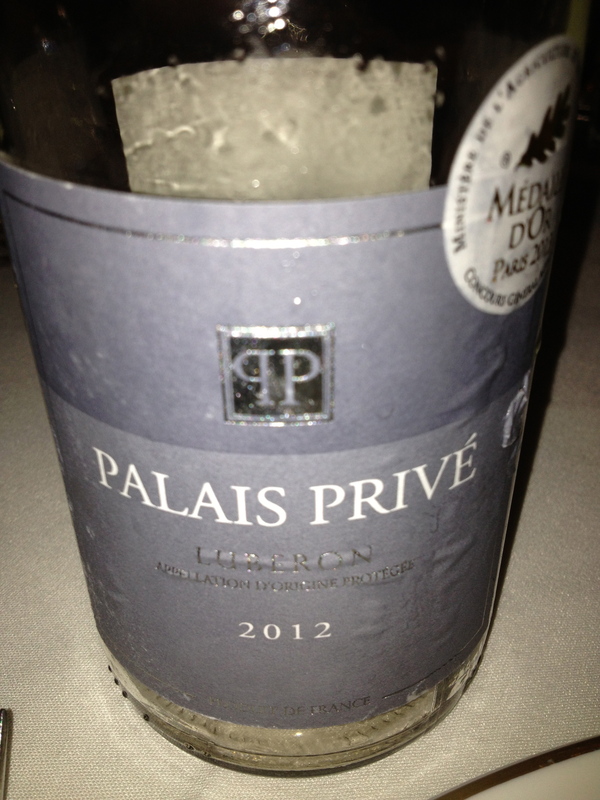 Palais Prive Rosé 2012 Cotes-du-Luberon AOC made from Grenache and Syrah. Michael Doyle, an American, owns the winery. This was the first wine served and it was very light in color with delicate red fruit aromas and flavors and a very nice finish and aftertaste. 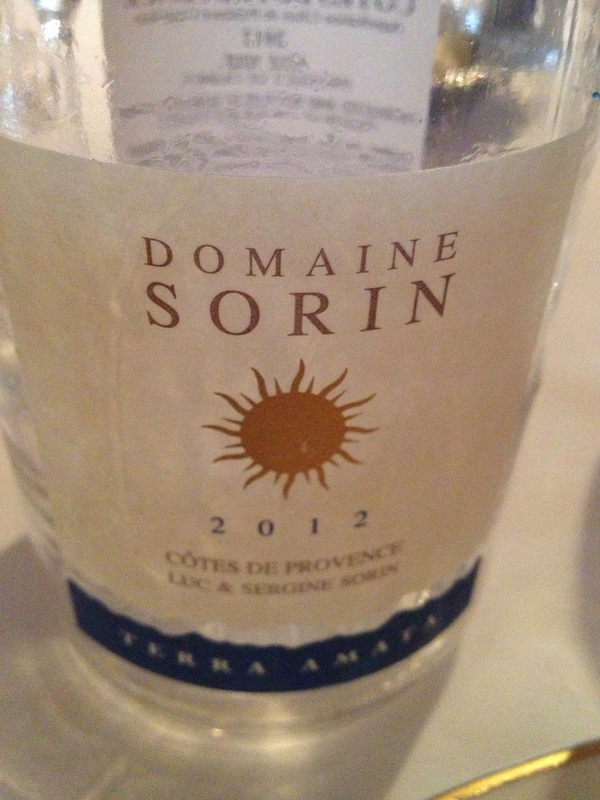 Domaine Sorin “Terra Amata” Rose Côtes de Provence AOC. Made from 40% Grenache, 15% Cinsault, 10% Syrah.15% Mouvèdre 15% Carignan, 15% Rolle and 5% Orgi. The wine is vinified and aged in vats. They do not use chemical fertilizers or weed killers. The winery is located in Bandol. This was paired with Jonah crab cake with roasted red pepper sauce and it worked very well. 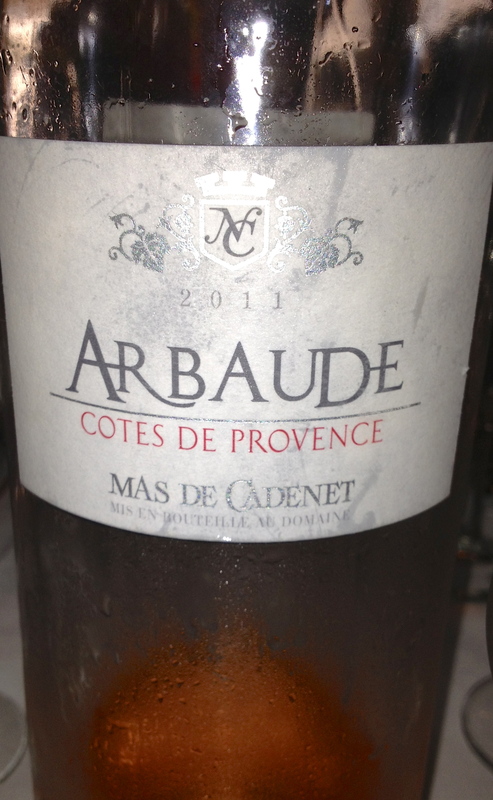 Arbaude, Mas De Cadenet 2011 Côtes De Provence 40% Grenache and 40% Cinsault and 20% Syrah. The grape bunches are destemmed. There is cold maceration and bleeding, the must is racked and fermentation tales place at low temperatures. The wine is a traditional salmon pink color. 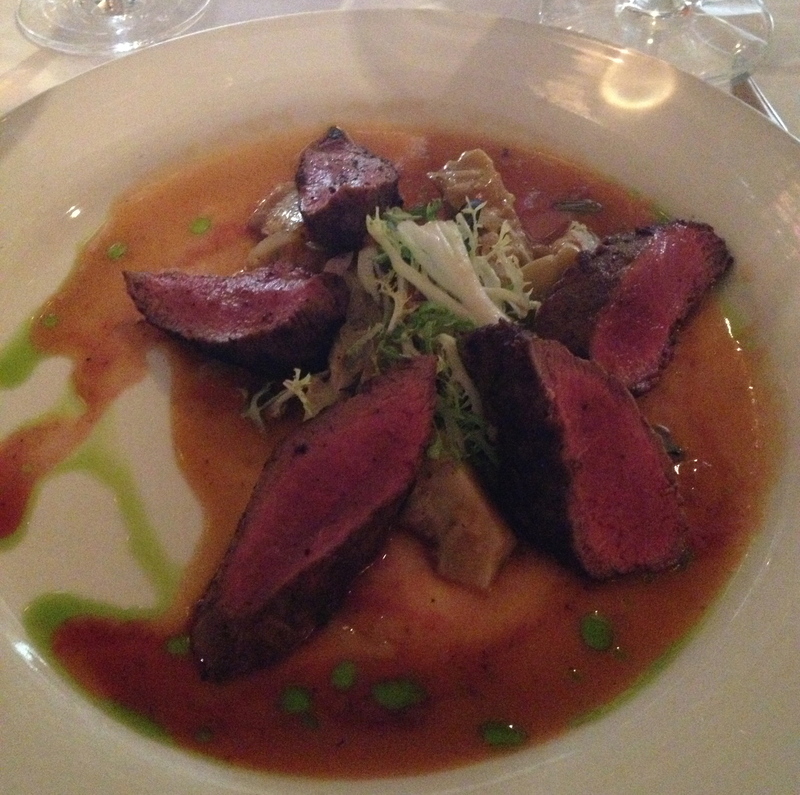 This was a rose with a lot of structure and flavor, a perfect combination with the seared lamb eye loin Barigoule. Champagne Jeeper Rosè N/V AOC de Champagne 70% Chardonnay, 20 Pinot Noir 10% AOC approved red champagne..
Alain told an interesting story about how the wine got its unusual name. In 1944 the Second World War was coming to an end, Armand Goutorbe returned to his vineyard in Champagne badly handicapped. In order to be able to carry on the work, he was allowed to purchase an American Army Jeep. .From then on there was no stopping him. His vineyard flourished with his new mobility; the Jeep proved perfect for the awkward terrain. He was always with his trusty Jeep, his friends and neighbors nicknamed him Jeeper. 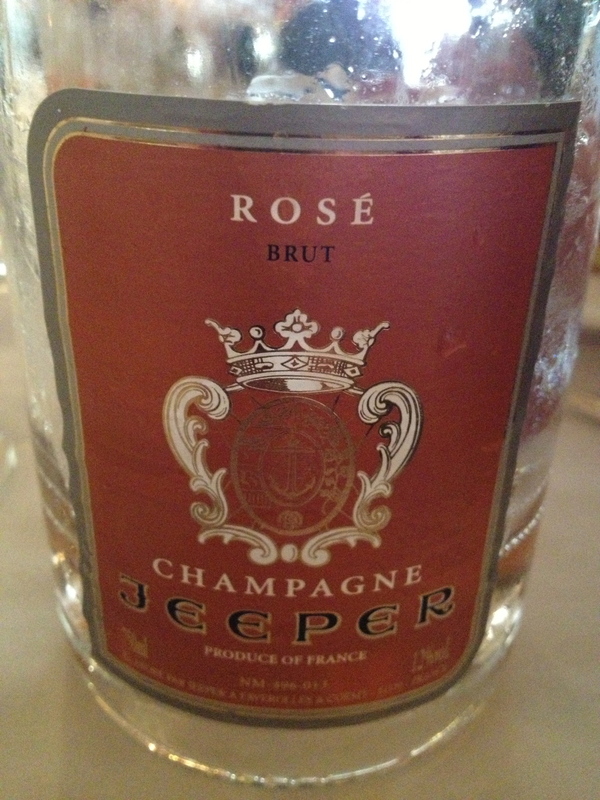 So Mr. Goutorbe honored his much-loved Jeep by renaming his champagne vineyard JEEPER. We drank this with a strawberry tart.